Do you have a dog, a cat or maybe a pet rat? 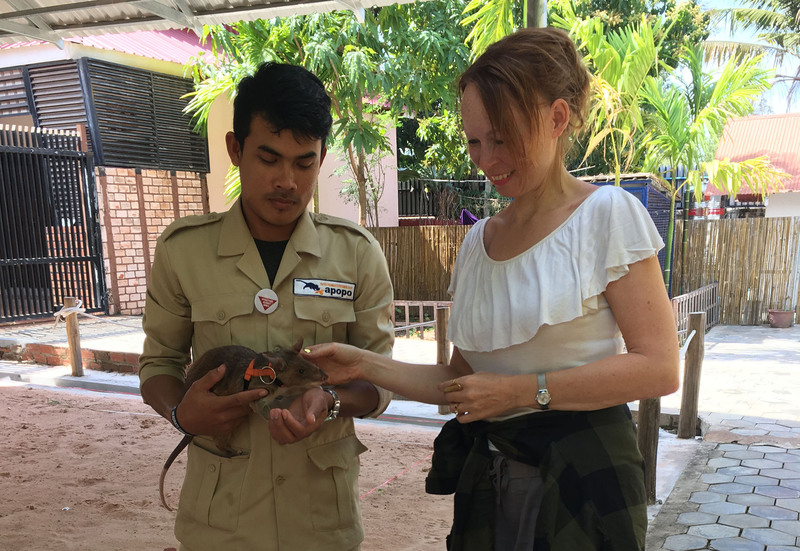 On April 5, which was International Mine Action Day, Emi & Eve adopted a professional landmine clearing rat called Magawa who works at Apopo in Siem Reap. Back in 1995, while exploring solutions for the world’s landmine problem, Antwerp student Bart Weetjens thought that maybe the rats he used to keep as pets could be trained to help clear landmines. A former lecturer of his believed in the feasibility of the idea and financed the start of the research project. 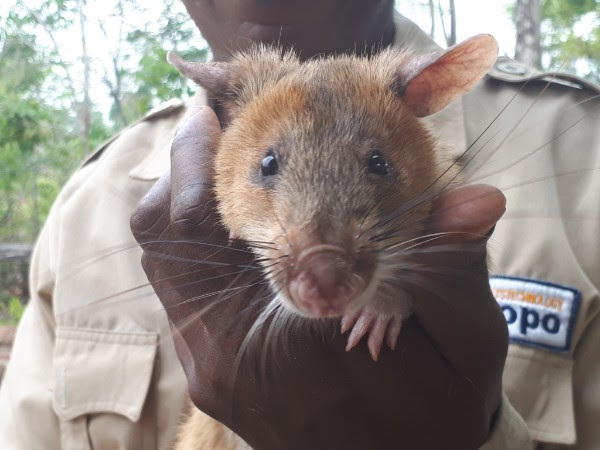 Two years later, the Belgian government provided a grant enabling the team to commence collaboration with a Tanzanian university in breeding a specialised breed of rats. After a further grant from the World Bank, the project began its focus on tuberculosis detection, and then landmine clearing in Mozambique. Finally in 2006 Apopo became an accredited landmine clearing operator. A public support campaign, HeroRats, was started where members of the public can adopt a rat, a brilliant method to not only fundraise but a means to let the public know about progress and the rats’ abilities. 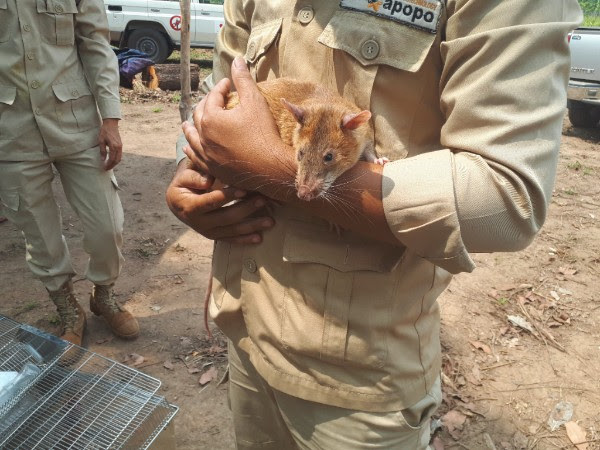 In April 2014, APOPO sent its mine detection rats (MDR) outside of the African continent for the first time. 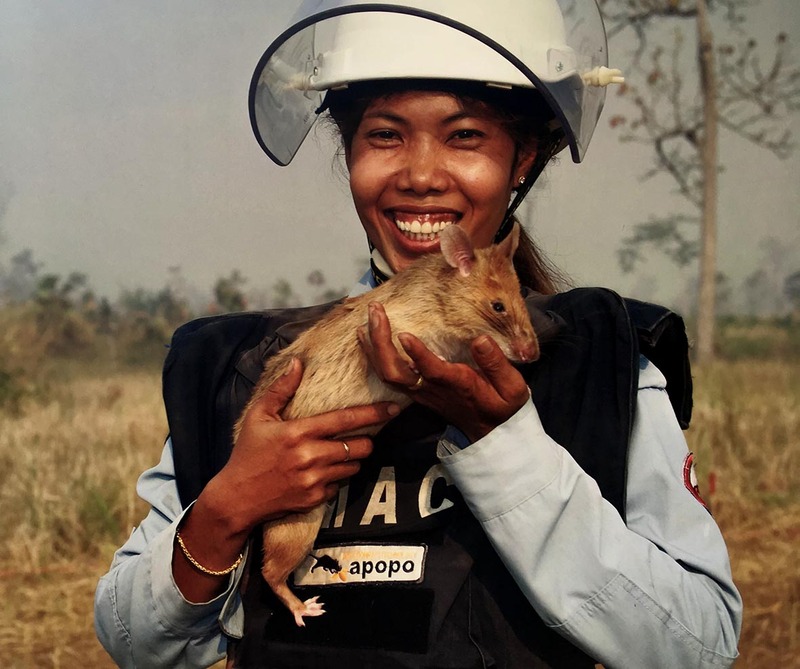 By 2016, after a period of acclimatization and 3 months of intensive testing by their local partner CMAC, the HeroRAT teams in Cambodia were deployed onto the minefields. APOPO opened a visitor centre recently in Siem Reap where it is possible to meet an MDR and watch a demonstration. 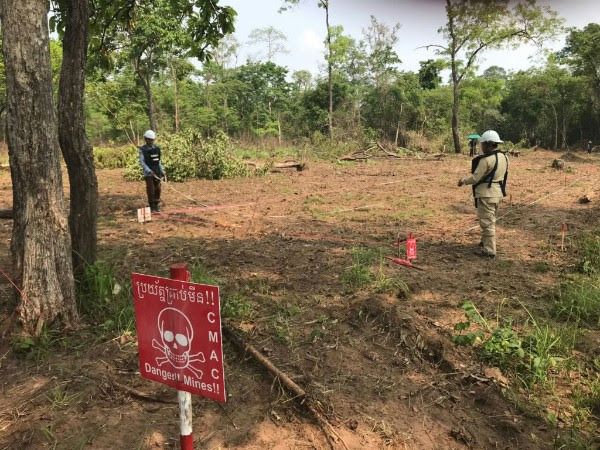 When I visited in January 2018, I saw on the notice board how in one cordoned off area 11 rats found 11 anti-personnel mines and 10 UXO saving 21 people. I was very impressed. The MDR’s are very well suited to this job and never miss a mine. They live up to 8 years so worth investing in training. Apopo has a neat cooperation agreement going on with Norwegian People’s Aid, who work with dogs. The NPA has state of the art mobile vet containers so all of these animals get great medical care. Time for a feast of bananas and peanuts! Follow Magawa’s updates on our instagram and facebook feeds. We are proud to support landmine clearing in more ways than one!